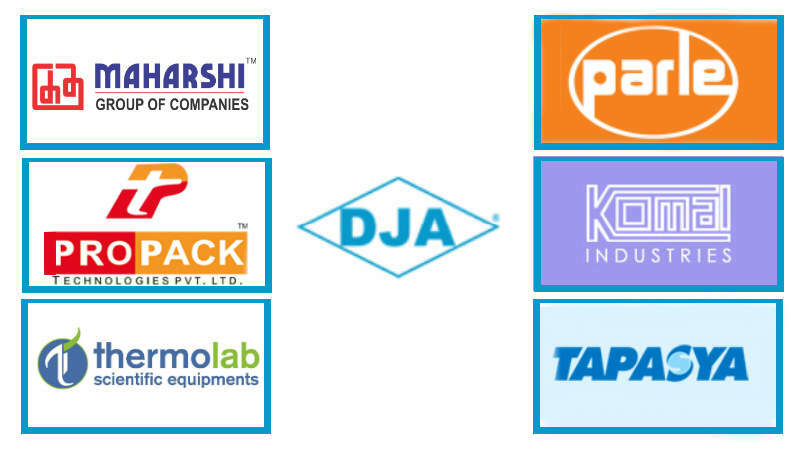 DJA’s vendor partners supply services and machinery for a wide range of manufacturing applications in the food industry. 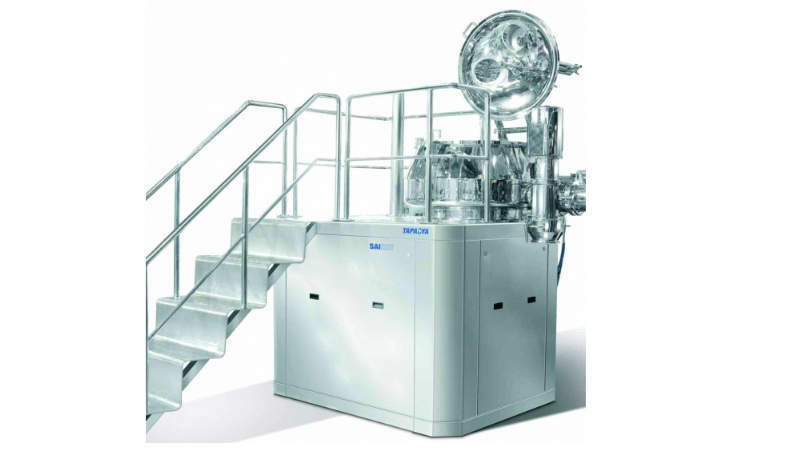 Available solutions include processing, bottling, labelling and wrapping systems, as well as visual inspection units, purified water generation and milling, blending and drying machines. The company’s vendors include Propack, Maharshi, Komal Water Industries, Parle, Tapasya and Thermolab. 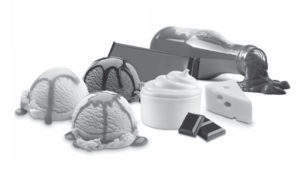 Propack manufactures processing systems for the biotech, pharmaceutical, cosmetic, food and beverage industries. The company’s expert project managers aim to consistently meet customer expectations throughout product lifecycles by providing cost-effective and timely delivery. The firm’s state-of-the-art equipment is designed to be eco-friendly and easy-to-maintain, while meeting the stringent requirements of the American Society of Mechanical Engineers (ASME). 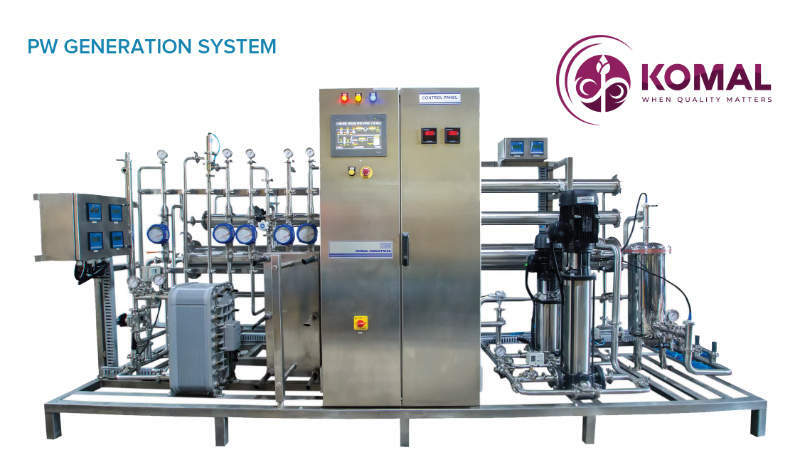 Propack processing equipment provides customised manufacturing plants for producing food items such as cheese, chocolate, ice cream, tomato ketchup, mayonnaise and tea. The Maharshi Group offers research and development (R&D) and technology upgradation services for the food and beverage industries. Its technologies and capabilities include labelling, printing, packaging and quality assurance (QA). The company’s labelling offerings include wraparound labellers, spray checking units, security seal labelling machines, shrink sleeve applicators, rotary sticker machines and automatic label applicators. In addition, Maharshi’s label printing division provides end-to-end support from packaging design to final product packing. It has a dedicated team of graphic designers that create and edit packaging to meet customer deadlines. The Maharshi Group also supplies track and trace technology to ensure missing label detection, vision inspection optical character recognition (OCR) and optical character verification (OCV), and reading of barcodes, 2D codes and pharma codes. Kormal delivers high-performance process water systems to safeguard customer assets from corrosion, fouling and scaling, as well as protect the environment through water and energy conservation. The company’s water system solutions reduce operating costs and extend equipment life. 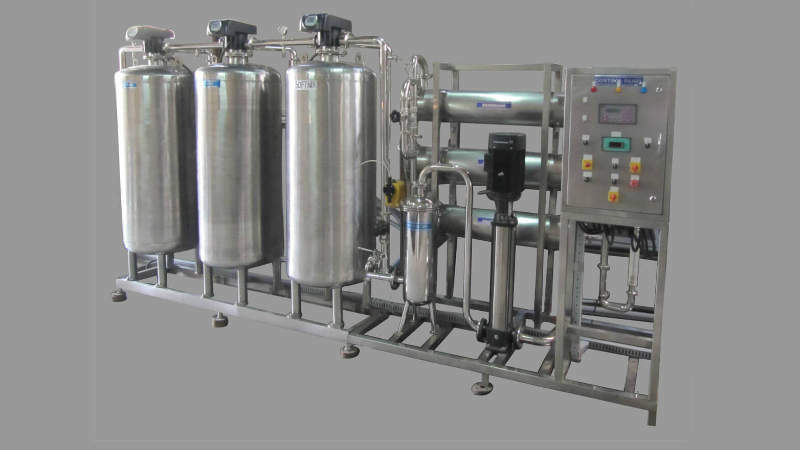 Its machines are designed for reverse osmosis, demineralisation, water treatment and pre-treatment, distillation and steam generation. In addition, Kormal provides low-energy and low-pressure ultraviolet (UV) lamps that utilise wavelengths of 253.7nm, inert gas and mercury to create high heat for disinfection applications. These systems are low-maintenance and have a user-friendly design for quick cleaning with minimal downtime. 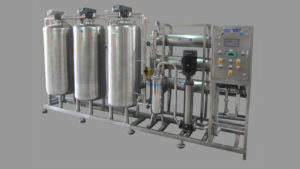 The disinfectors can be used in the beverage industry in mineral water and soft drink production facilities. 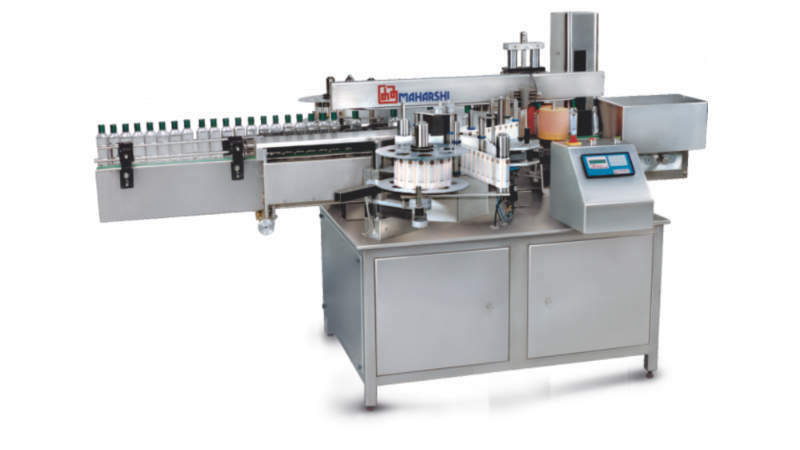 Parle manufactures bottle packaging and tube filling and sealing machines for the food industry. Its high-quality products include fillers for aluminium and plastic tube packaging and multichannel bottle filling lines comprising machines such as capping machines, unscramblers, cotton inserters and induction sealing machines. 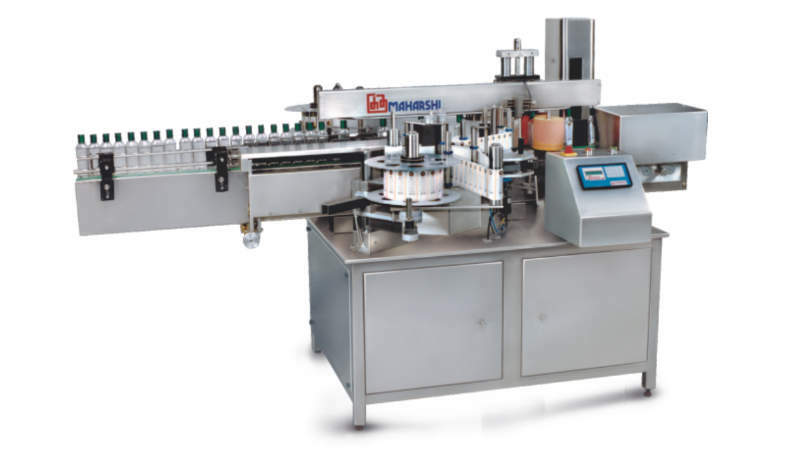 The company’s bottle counting and filling lines are durable, tool-less machines with a user-friendly operation. It provides high-speed counting using sensors for the recognition of a wide range of product shapes and sizes. Lines can quickly be changed to process different product types and configured in an L-shape, U-shape or straight line format. Parle’s PK 30AL-A is a cost-effective aluminium tube filler that is easy-to-handle and maintain. 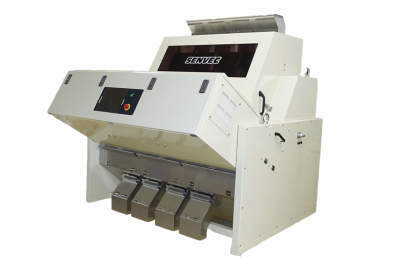 It incorporates quick changeover and has an improved tube orientation system for high-accuracy. It provides output speeds of 45 tubes a minute, with a fill volume between 3g and 250g. 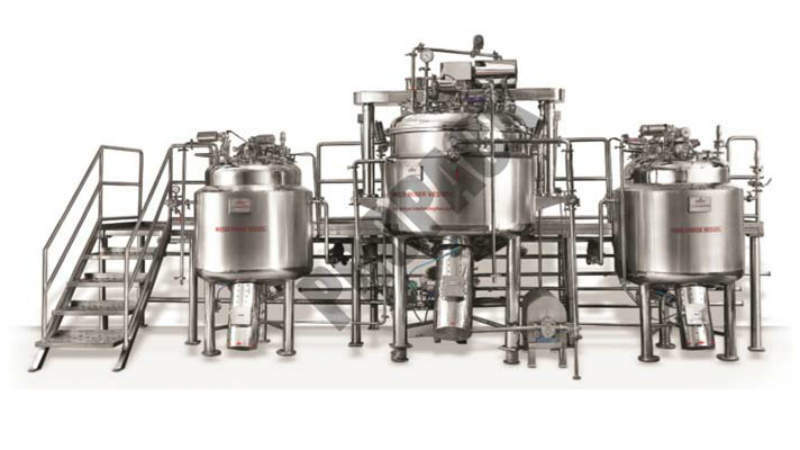 Tapasya supplies cost-effective equipment for the food processing industry for blending and milling applications, including granulation, drying and blending. The company also provides material handling and cleaning systems. 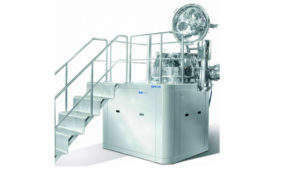 The firm’s high-shear mixer granulator R2T features direct-drive technology and meets US Food and Drug Administration and current good manufacturing practice (cGMP) requirements. Its torque-based granulation increases productivity up to 50% and has high-accuracy in determining and validating granulation end-point. Tapasya’s Roto Cone is a dryer that integrates drying operations under a vacuum. It facilities drying efficiency at low temperatures, while offering efficient charging and discharging of materials. The Vibro Sifter is a vibratory mill that features a specially designed gyro motor. It is a cGMP model with adjustable vibration and a 200mm diameter hood to protect food from dust and other foreign materials. 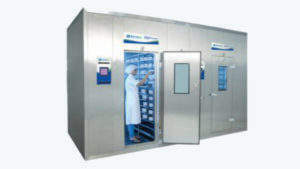 Thermolab manufactures a wide variety of standalone and walk-in stability and cooling chambers, as well as incubators and industrial ovens. 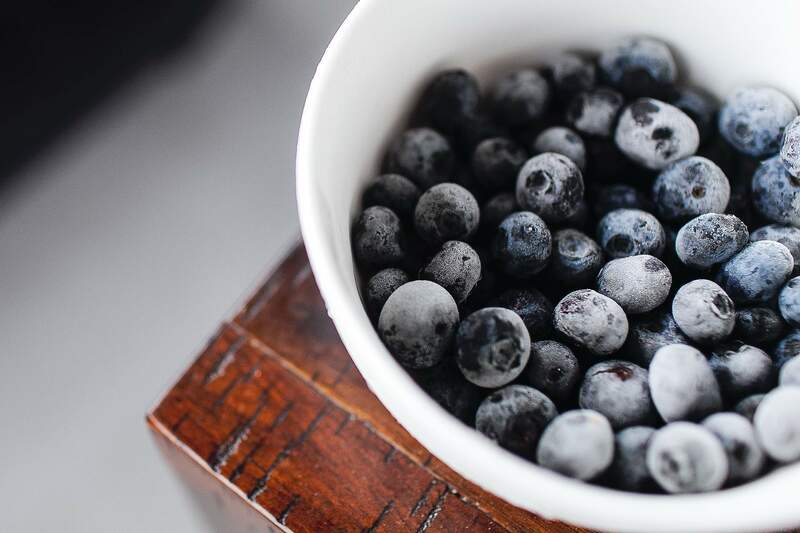 These energy-saving solutions feature a common software that meets US FDA regulations and is optimised with Stability Architecture technology. The walk-in stability chambers generate controlled temperature and humidity for stability studies and climatic tests. The chamber features automated process control and structural integrity for accurate test cycles and measuring equipment. The fireproof unit saves 65% power in chilled water refrigeration and 95% water in its humidity system. Thermolab’s walk-in cooling cabinets are designed for storage of raw material samples and reference standards for food testing. It comprises various safety features, including audio-visual alarms, secure software and precise cooling. DJA has announced that it will be attending Interphex in New York, US. 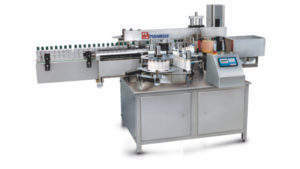 Accurate Machines manufactures high-speed blister packing machines for the food industry. 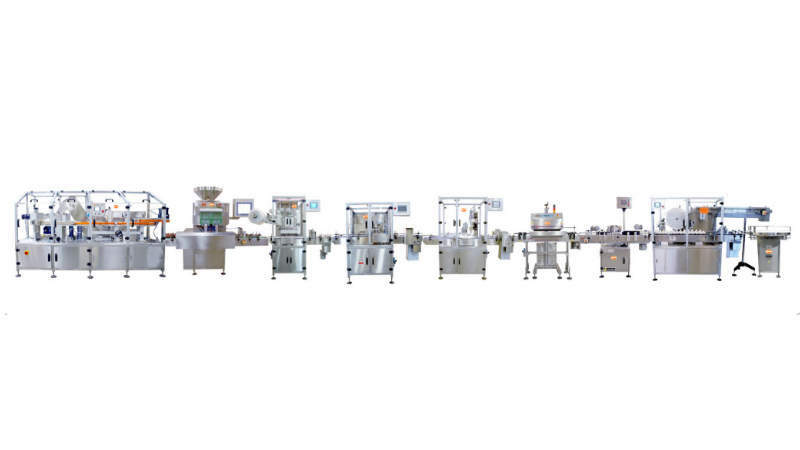 PROPACK Technologies manufactures easy-to-use and high-performance processing systems that provide consistent high-quality products, optimised operating costs, a compact design, short batch cycles, and minimum downtime. 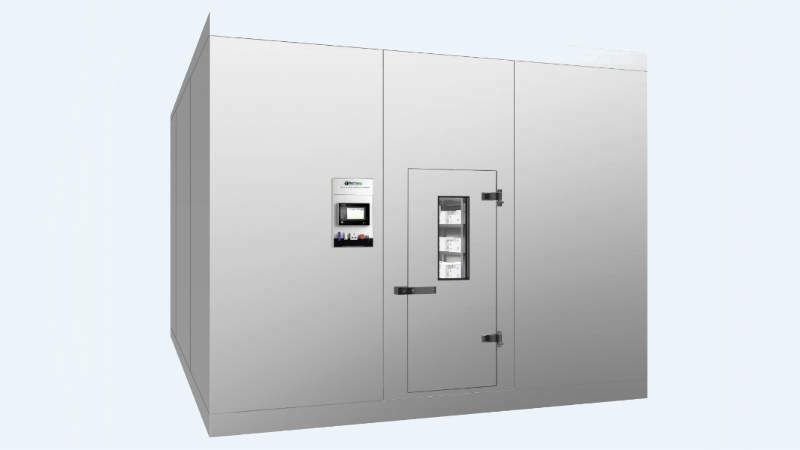 Thermolab’s scientific chambers are designed to meet the stringent requirements of stability studies and climatic tests. The Maharshi Group designs, develops and manufactures packaging solutions for the food industry. 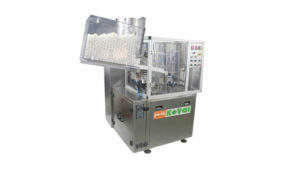 Parle manufactures counting machinery for food and beverage products and packaging.